We will pick you up from your cruise with personal Egyptologist guide and modern private van to visit Saqqara, it is Memphis's enormous necropolis and the burial place of the most ancient Pharaohs of the Old Kingdom, it is also homeof the first pyramid built in Egypt for king Zoser known as the "Step Pyramid", the pyramid was designed by Imhotep, the famous ancient Egyptian architect. Get your lunch in local restaurant then drive to Giza Plateau to wander the Great Pyramids of Cheops, Chephren and Mykerinos then continue to the city side of the plateau to explore the mysterious Sphinx and the Valley Temple related to Chefern pyramidal complex. End the tour then transfer to your Cairo hotel for overnight stay. Pick up after breakfast in hotel then transfer to admire the world known Museum of Egyptian antiquities, designed in neoclassical style and features great collections of 120000 antiques covering almost all historic ages of ancient Egypt including the treasures of king Tutankamun with the Royal Mummies room and great library. 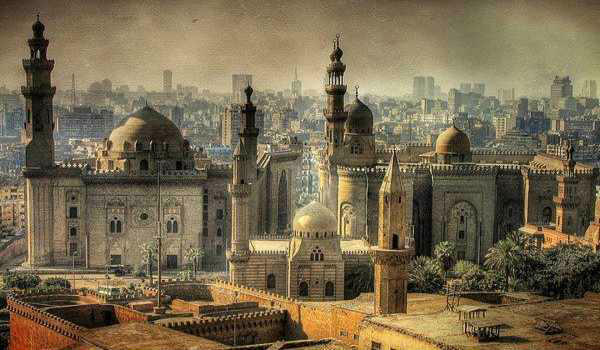 Continue to Saladin Citadel overlooking Cairo city and famous for the Alabaster Mosque of Mohammed Ali lying in the middle of the castle, the mosque is built in Turkish style similar to the Blue Mosque in Turkey and it is one of Cairo top landmarks. Proceed to Khan El Khalili Bazaar for free time bargaining and purchasing some souvenirs from Egypt and middle East oldest local market then transfer back to Alexandria port.